A Big Music Charts Magazine Welcome to Big Al Weekley (above) from KRVN in Nebraska. In celebration of “International Bluegrass Month of May 2013” our 2nd guest is Big Al Weekley and his bluegrass radio show “The Big Al Bluegrass Show”. Big Al will play some bluegrass tunes and this show is of course special as it has an emphasis on this very special Memorial Day weekend 2013. Enjoy the show and stay tuned for more Bluegrass this May 2013! Show: “The Big Al Bluegrass Show” – with “Big Al Weekley” – Enjoy! 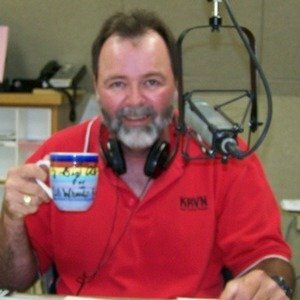 Tagged A Big Music Charts Magazine Welcome to Big Al Weekley (above) from KRVN in Nebraska., Big Al will play some bluegrass tunes and this show is of course special as it has an emphasis on this very special Memorial Day weekend 2013. Enjoy the show and stay tuned for more Bluegrass this May, In celebration of "International Bluegrass Month of May 2013" our 2nd guest is Big Al Weekley and his bluegrass radio show "The Big Al Bluegrass Show"., MCM - MusicChartsMagazine.com, Music Charts Magazine celebrates International Bluegrass Month of May 2013, Music Charts Magazine celebrates worldwide Bluegrass month of May 2013 with WERU's Darwin Davidson and the radio show "BRONZEWOUND" - Check it out!, Show: "The Big Al Bluegrass Show" - with "Big Al Weekley" - Enjoy!